SBJ Laurel office is moving locations. 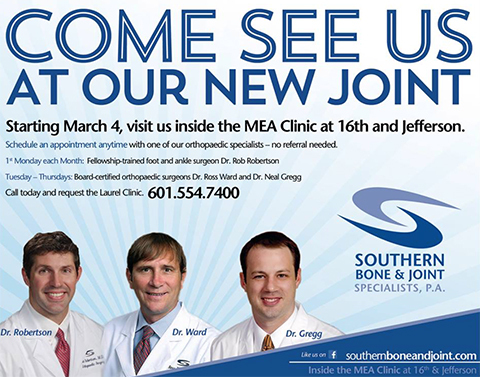 March 4, SBJ will be located inside the MEA Clinic at 16th and Jefferson. Call us at 601-554-7400 to schedule an appointment.